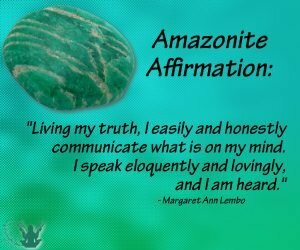 Affirmation: I live my truth. I easily and honestly communicate what is on my mind. I speak eloquently. I am heard. 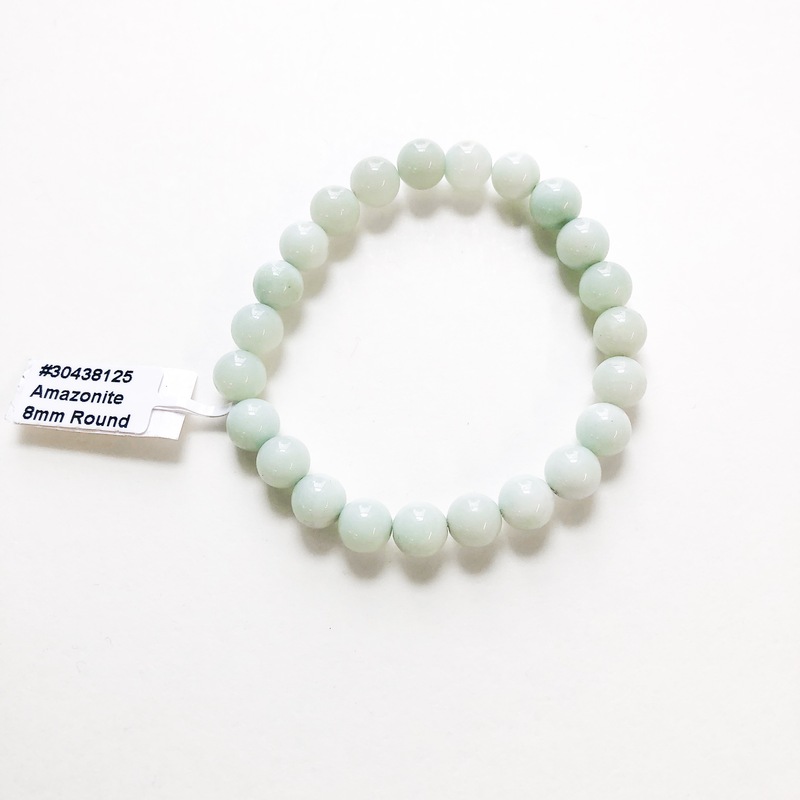 About the stone: Amazonite is a microclinic feldspar composed of potassium aluminum silicate. 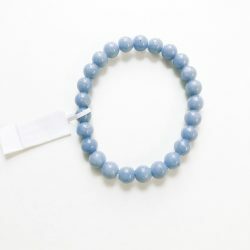 Forms in opaque, well-defined (sometimes quite large) triclinic crystals. 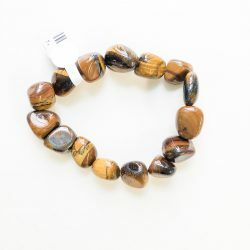 It is often found in Colorado occurring alongside smoky quartz crystals. Spiritual uses: Amazonite’s energy offers a direct connection to the heavenly realm and makes you receptive to its assistance. 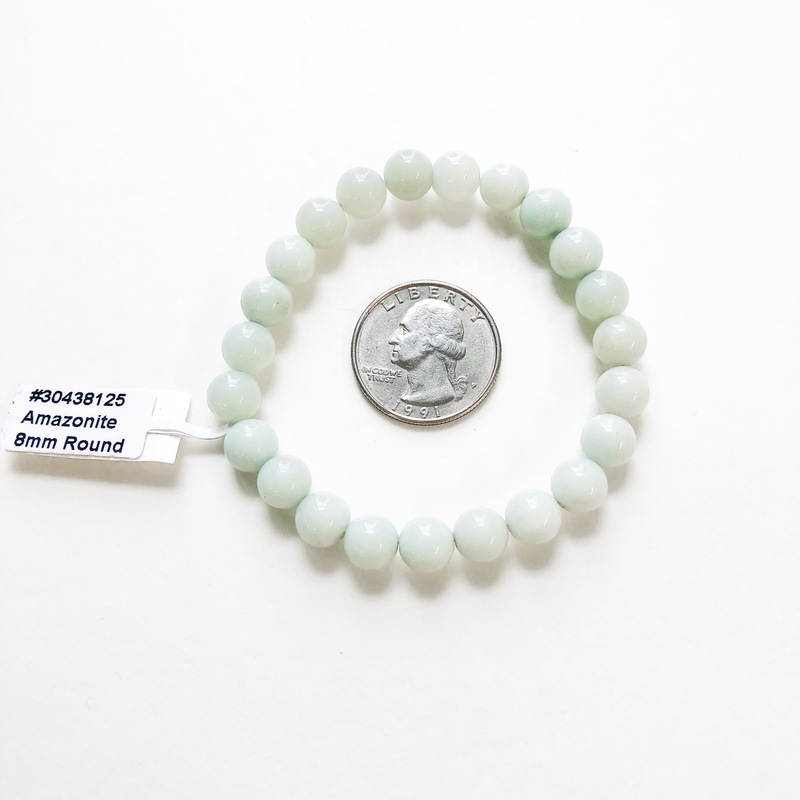 Mental uses: Use amazonite when you want to know the truth or when you need to speak the truth. 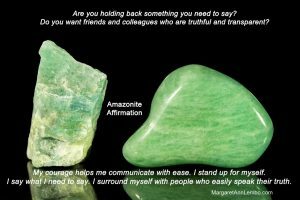 Emotional uses: Amazonite helps you graciously speak up for yourself and reminds you to listen to what others have to say. Physical uses: This stone also aids in clearing physical challenges of the ears and nose. It helps improve your ability to speak, sing, or make any type of vocalization in general.